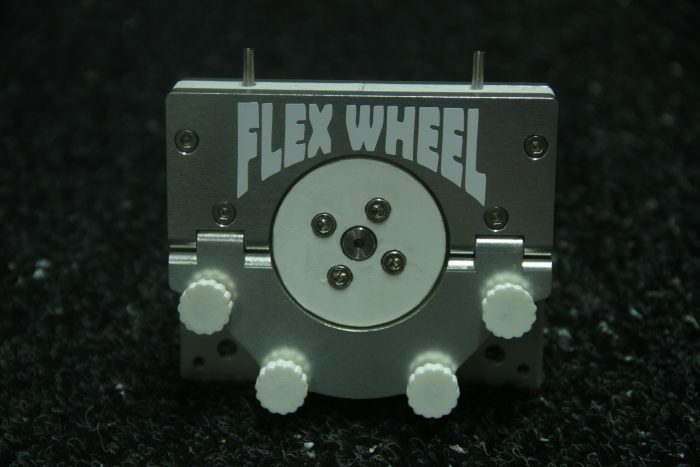 The Flex Wheel is a revolutionary new way to grip, control and print with rigid or even the trickiest of flexible filaments with your 3D printer. 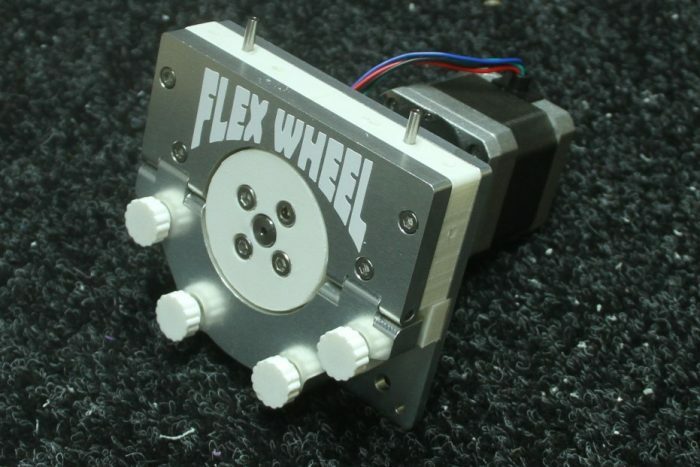 What WONT you experience with the Flex Wheel – No more under extrusion problems, no more clogged hob gears, no more kinking of flexible filament, no more damaged or slipping of filament and definitely no more 3D printing extruder head aches. 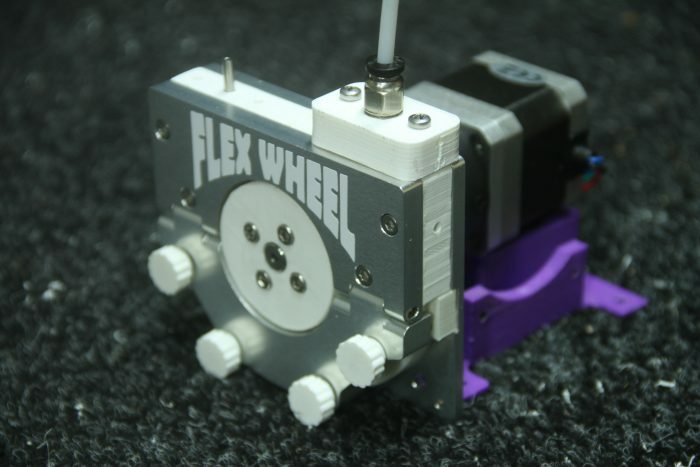 What WILL you experience with the Flex Wheel – An increase in contact surface area between the drive mechanism and your filament, more power to drive your filament harder and faster, more speed and control over flex, more barrel pressure within your hotend and a substantially improved 3D printing experience. Designed to be compatible with your existing 3D printer hardware and software. 1.75 or 2.85 – 3 mm configurations available. Ideal for Bowden Cable set ups. Allowing you to upgrade and improve your printer. Can be used in a Direct Drive configuration. 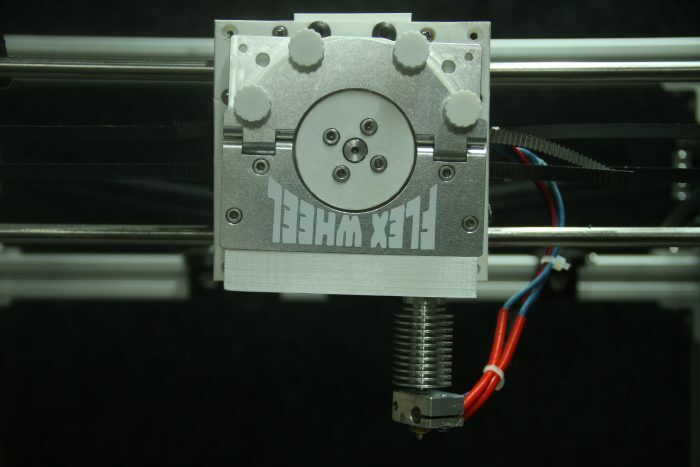 Improved retraction capabilities – don’t turn off retraction when printing flex, turn it up! 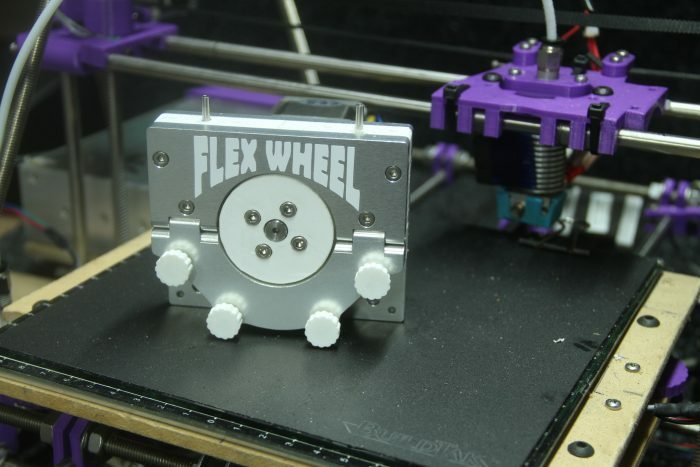 Print even the trickiest of filaments with ease with the Flex Wheel.